The Marketplace Lending experience for lenders has changed and has gotten even better since our last review. 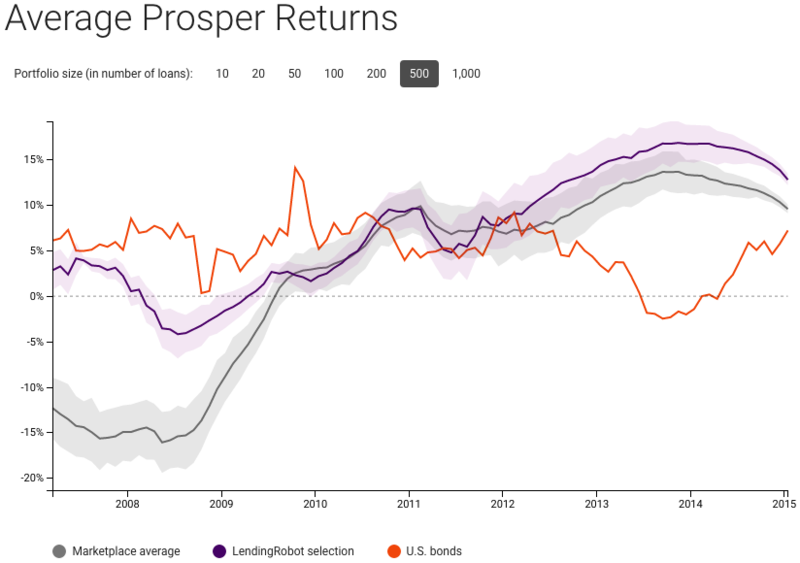 First, great news: both Lending Club and Prosper are still very good investment options. Read our previous article here. Both peer-to-peer lending companies are still in business since our last review, so what’s changed in the past year? As predicted, both Lending Club and Prosper remain a hit with both investors and borrowers. Prosper has now funded over $4,337,000,000 in loans since 2006. Lending Club remains in the lead, though, and has funded over $11,167,000,000 worth of loans. 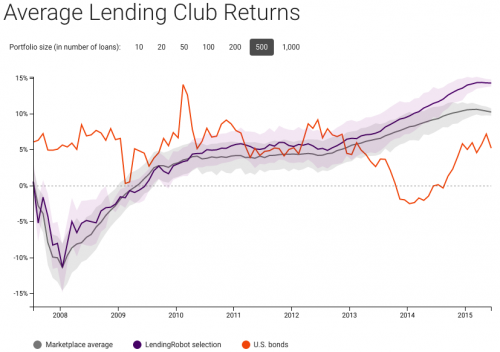 Both Prosper and Lending Club have updated investor statistics on their websites. Prosper states that investors who have invested in 100+ loans since 2009 have not lost money. 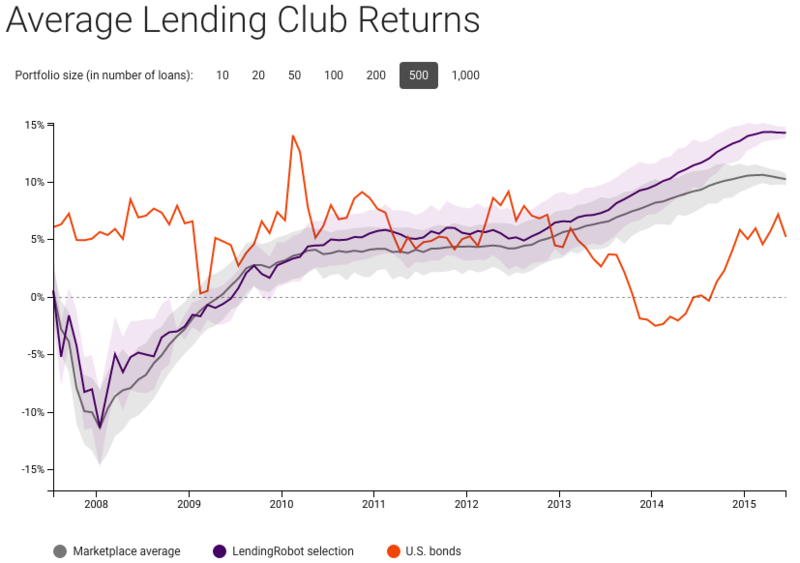 Lending Club confirms this diversification trend, and state that 99% investors who have invested in 100+ loans of ‘relatively the same size’ have not lost money. It is important to note that the minimum investment in each note is $25. Some quick back of the napkin math tells us that a solid ‘trial’ investment in either Prosper or Lending Club would be at least $2,500. 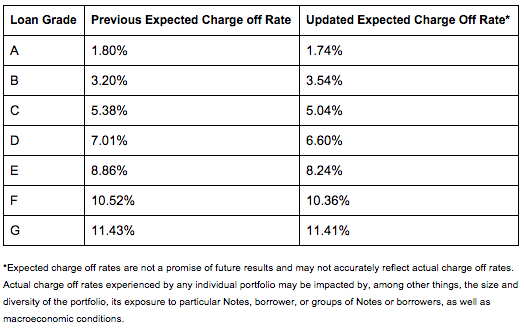 In October 2014 Lending Club has improved their underwriting and has decreased their expected charge off rates. A lower expected default rate is great news for investors. Meanwhile, Prosper has created a backup servicer company and bankruptcy vehicle to help protect investors if Prosper goes belly-up. Both better underwriting (the quality of the loans) and Prosper’s bankruptcy vehicle are plusses for investors. But challenges have arisen, too. These improvements have spurred even more large investors to get in on the action. Besides the old challenge of going through and manually picking out notes, now retail investors are faced with a time crunch: buy the best loans before the big hedge fund investors can. But it’s been reported that the best loans are gone in either minutes or seconds after their released on the marketplace. “If you can’t beat ‘em, join ‘em,” I say. Both Lending Club and Prosper have developed automated solutions to help level the playing field for retail investors. In addition, paid third party investment advisor services have also sprung up to help smaller investors compete for the best loans. Lending Club’s Automated Investing started around December 2013 and is the newest of the bunch. It is free for investors with accounts over $2,500 and allows investors to spread their financial investment either through a loan grade filter or one filter that is user-defined. Prosper’s Automated Quick Invest is the oldest of the three automation programs and was deployed in early 2011. It hasn’t been updated much since. It is likewise free for investors with no minimum account size. 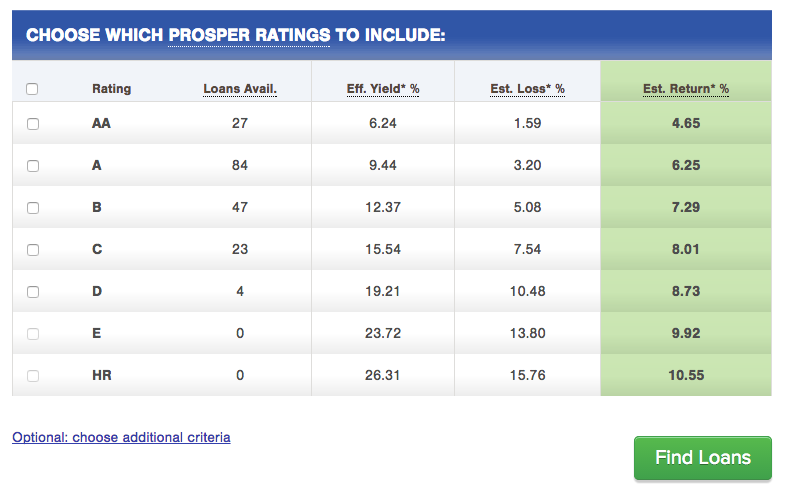 Similarly to Lending Club, Prosper allows investors to reduce risk by choosing loans with specific grades. LendingRobot’s Fully Automated Mode is unique in that it ranks loans as soon as they come out and buys the top 25% of loans matching the investor’s specified risk tolerance. 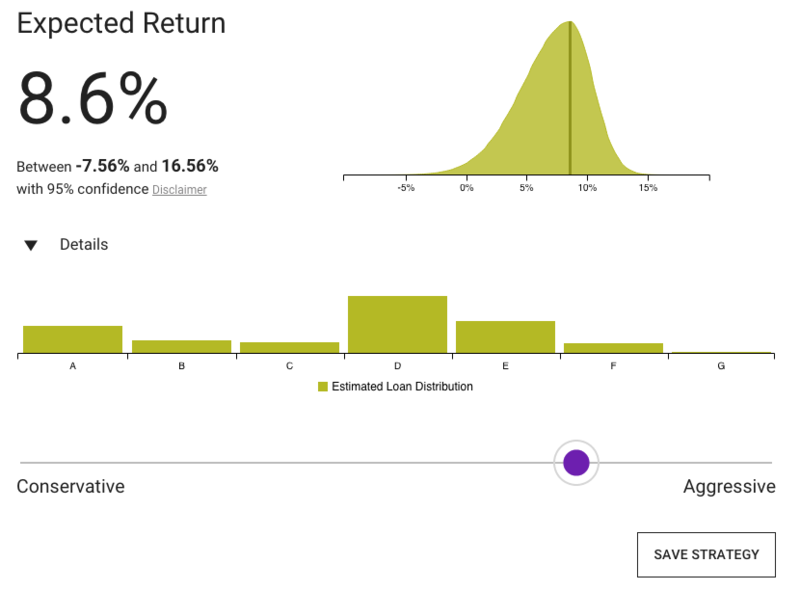 This method simplifies the process of risk assessment for investors, since unlike the other automated programs investors don’t need to learn about grade types or successful loan attributes (there a couple dozen loan filters for both marketplaces). According to their website (with the typical disclaimer that past performance does not equal future success), their algorithm has tested to give about 2.5% higher and better returns (2% after their 0.45% fee) than the marketplace average. Both Prosper and Lending Club are solid investment options. It is impossible to say which marketplace is ‘better’; both are seasoned marketplaces and continue to make extraordinary strides in improving the investor experience. One plan would be to try out both marketplaces and manage both from one LendingRobot account. In fact, we’ve secured a bonus $5,000 in freely managed funds to do just that – our readers can open an account on both marketplaces and have $10,000 between the two accounts managed for free. Invest now and try them both out today. Let us know which you think is better. I’m actually pretty surprised that programs like this are doing so well – but pretty excited! I think there’s a lot of potential in these programs. Thanks for sharing! Such a knowledgeable and thorough article! You just know how to keep the audience engaged! Honestly, I did not know before that you could do peer lending through Prosper and Lending Tree. I have heard about a couple of peer lending websites where you can lend money to the people in the Third World countries. However, since they charge such a high interest, I would morally not feel comfortable taking part in it myself.